"How do you kill something that can't possibly be alive?" 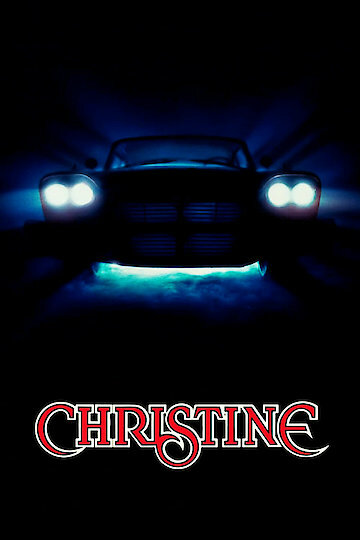 ‘Christine’, based on the Stephen King novel, is about the tragic life a teenage outcast and his connection with a classic car. Unfortunately, the car happens to have a life and mind of its own which happens to be homicidal. ‘Christine’ is a 1958 Plymouth Fury that 17 year old Arnie Cunningham; played by Keith Gordon, purchases from the late owner’s brother. Arnie’s best friend; Dennis, played by John Stockwell, tries to dissuade his friend from buying the rust hunk of metal, however, Arnie seems to see something in Christine that no one can see and wants to restore the old car. Although Arnie meets with severe opposition from his parents over his purchase he adamantly refuses to give in and instead stores the car at the local ‘fix it’ garage as he begins restoring the car. As Arnie works on Christine various aspects of his life begin changing such as his romance with the new girl in school; Lee, who happens to be a knock-out. Arnie’s personality also becomes more outgoing and aggressive as well, especially when it comes to anyone’s criticisms of Christine. The school bully; Buddy Repperton, decides to get even with Arnie for his school expulsion, breaks into the garage where Arnie is still forced to store his car and with the help of his friends destroy Christine using sledgehammers and other tools; or so they think. Arnie, having decided to rebuild Christine, realizes his car is more special than he imagined as he watches while Christine restores herself and the two soon make those who tried to destroy her pay. Dennis and Lee having discovered the truth behind Christine decide they must do something to save their friend. Forcing a showdown in the abandoned garage Lee and Dennis take on both Christine in Arnie to stop the carnage. Although unable to save Arnie, Lee and Dennis are able to stop Christine's murderous path of vehicular destruction. Christine is currently available to watch and stream, buy on demand at Amazon, Vudu, Google Play, FandangoNow, iTunes, YouTube VOD online.